On Sat. July 31, since my friends and I were not invited to Chelsea Clinton's wedding, we did the next best thing and had a "Moth-er's Night Out" at the University of Tennessee Arboretum! :) After I gave a presentation on moths and butterflies, we went out and looked for moths on the sheets . David, Audrey and I had strung up white bed sheets and shined black lights on them to attract moths and other critters. The insects were a bit slow getting started, especially since it didn't get really dark until about 9:15. (Note to self: the next time you plan something like this, do it earlier or later in the year when it gets dark earlier!!!) Finally, around 9:30 we started seeing some nice ones. My friend, Diana, was there on her birthday, as an added treat a gorgeous Tulip Tree Beauty (above left) landed on her husband's arm! 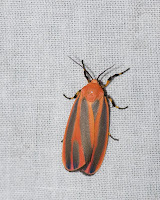 Audrey's light se emed to attract the prettiest moths. 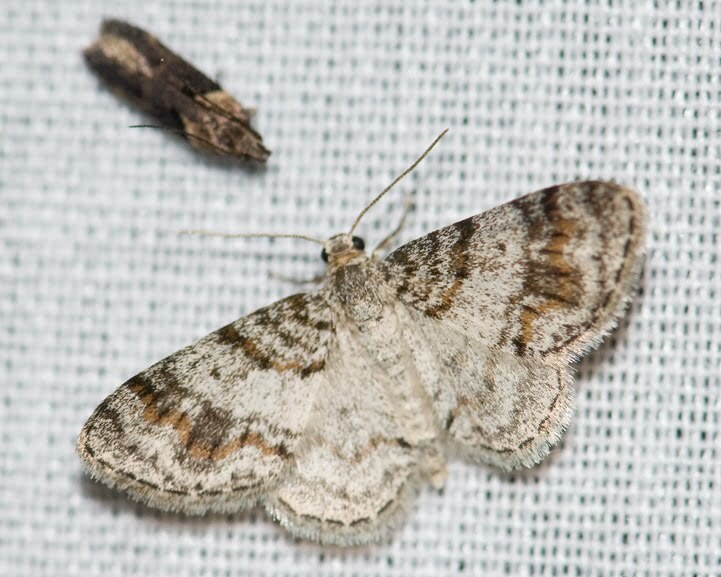 I spotted this Black-marked Inga moth (right) on her sheet. She caught this False Crocus Geometer (left) in a small specimen jar and carefully transferr ed it to the sheet so everyone could see it. The most exciting find of the night, though, had to be the Scarlet-winged Lichen Moth (right)! What a beauty it was! 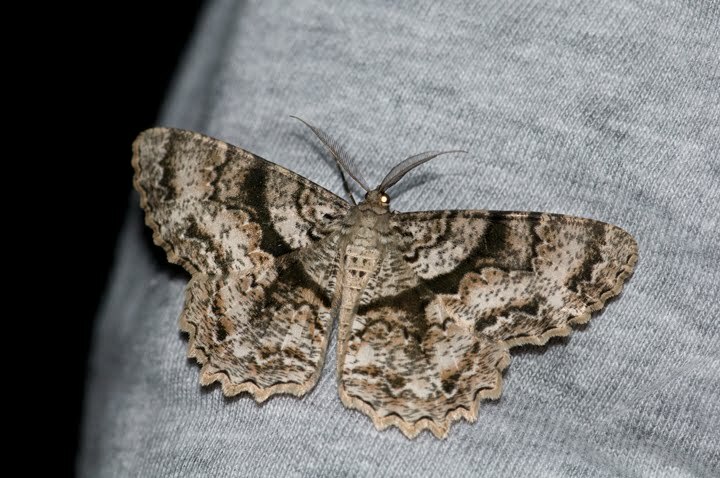 This moth had its own paparazzi section, the camera flashes were firing like lightning when this moth was spotted! None of us had ever seen one of these before, so it caused quite a stir! My sheet was set up do wn by the creek, so I got a lot of aquatic insects like mayflies and caddisflies. 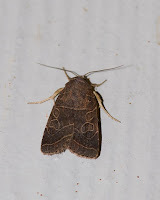 However, I did attract one nice moth, a female Wedgeling (left).Her wings were a very dark maroon, she almost looked black until the light was shining on her. 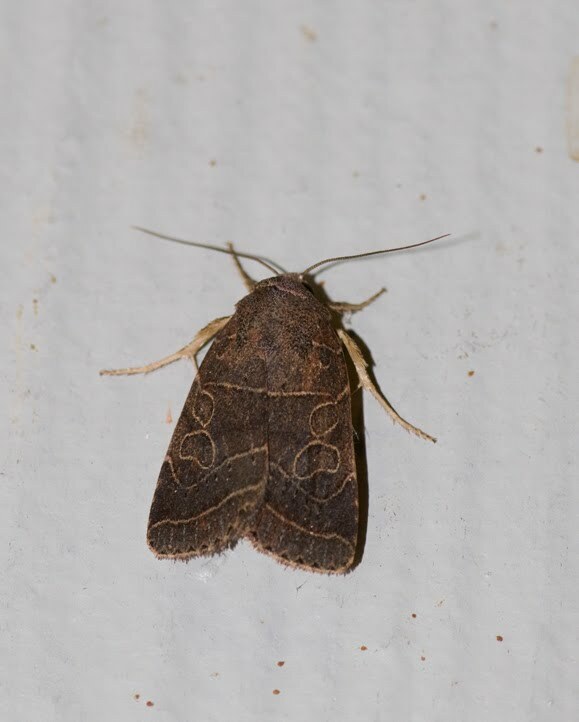 We also saw some nice moths on the wall near the light by the office door. This Rustic Quaker Moth was a challenge to identify, there are SO MANY brown moths! I liked the interesting pattern on its wings. 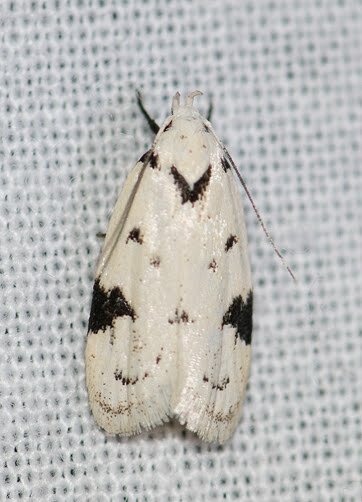 Some moths have unusual names, I don't know how this one got its name. 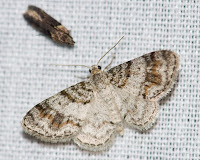 This little Unadorned Carpet Moth (another weird name! ), was on David's sheet. 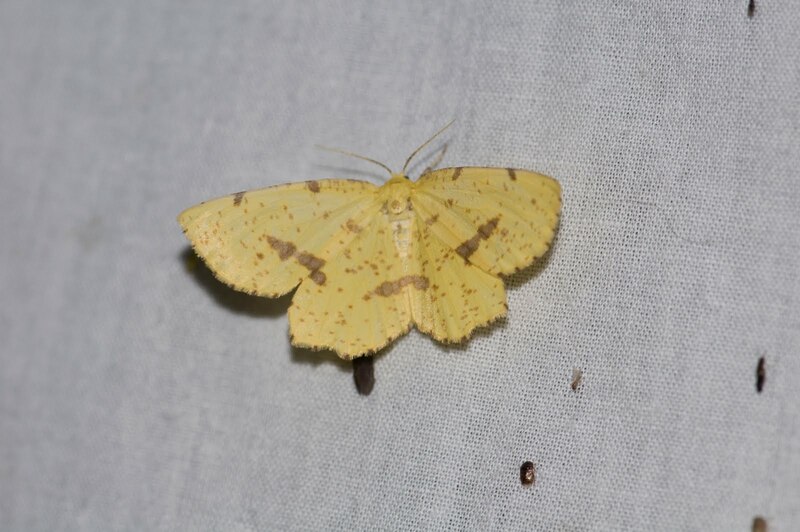 This is a "geometer" moth, it started out life as an inchworm. 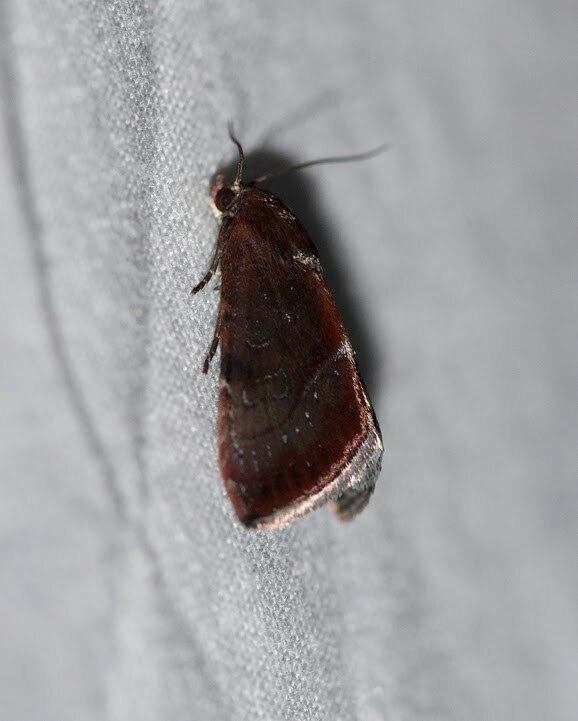 I'm not sure what the small dark brown moth is, those micro moths are very hard to ID! The really nice moths didn't start coming out until about 9:45 p.m. I was afraid we would wear out our welcome with the arboretum superintendent (who generously hung around waiting on us! ), so we called it quits at 10:00. I ended up getting 8 new moths for my specimen list. This got me up to 165 species! It's something I have not heard before.Finding Moth and butterflies along with friend would be a definitely exciting experience.I love the cencept.